A Muslim boy is beaten by a mob in Ramgarh, Uttrakhand because he found in the compromisable position with the Hindu girl near Temple Premise. 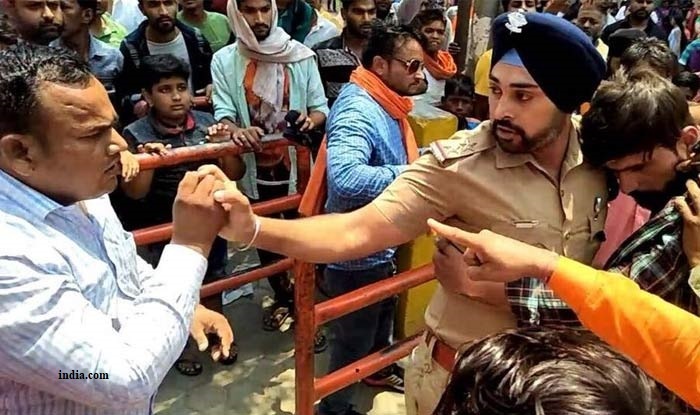 He caught by a mob and after checking the ID of that boy they start assaulted that boy after which a sub-Inspector Gagandeep Singh interfere in the matter and save him from the Mob. The mob in which there are few activists from Bajrang Dal and VHP yelled against police when they realized that the police officer saves that men. Police take the CCTV footage and check the faces of the faces of the persons who were involved in the violence.